We are dedicated to building and growing successful communities that reflect our clients' priorities. Whether its a close-knit social intranet or public facing customer community, we can support your organization on its social journey. 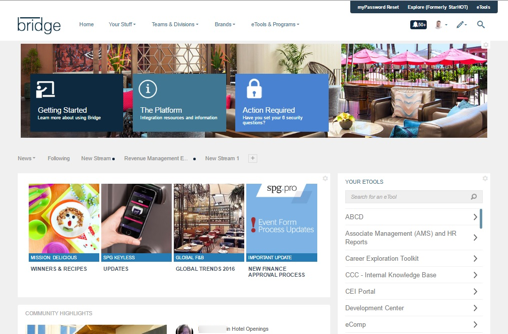 When Starwood Hotels and Resorts embarked on a digital transformation initiative to change how they communicate and collaborate internally, they prioritized upgrading their intranet. Social Edge answered the call to partner with Starwood in vetting their community platform. 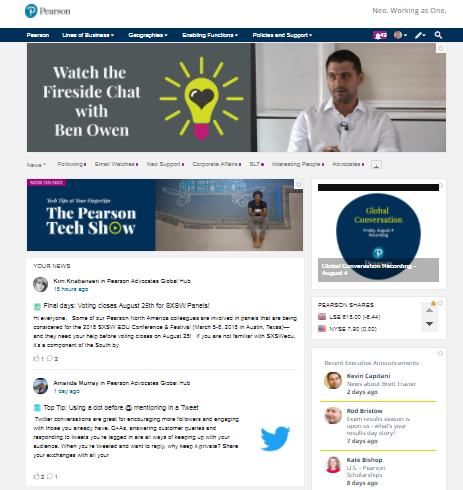 Kim England, Global Community Director at Pearson, recently praised our Blog Tile. Learn how one tile transformed Pearson's Neo Community and all of the different ways it can be utilized. 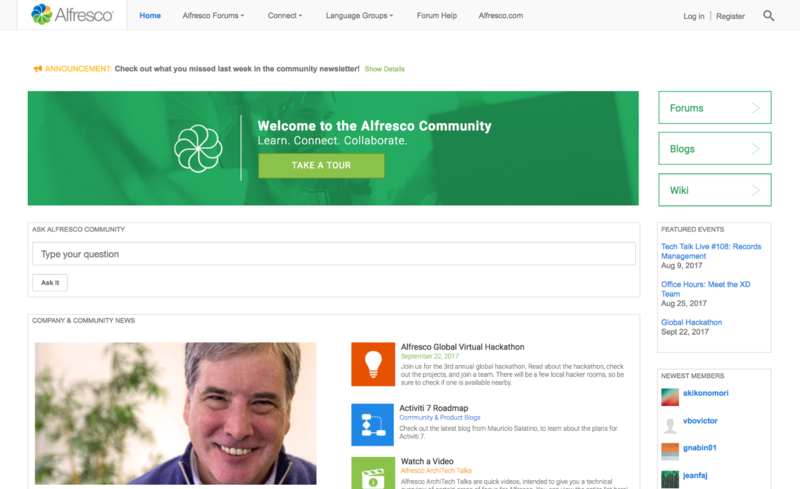 The Alfresco Community enables customers, partners, open source contributors, and enthusiasts to work together to make their organizations successful and improve Alfresco products. Hover over a client logo to learn about their experience working with us. Social Edge Consulting built our custom search widget. They were great to work with! "Here at Pearson we felt it was time to shake things up in our Neo community. And the shake up came in the shape of this beautiful tile from the team at Social Edge Consulting. We're talking about the The Blog Tile and we implemented it into Neo just last week. Our community managers LOVE it! I love it and the rest of the Neo team LOVE it! Thank you so much to Social Edge for creating such a wonderful and versatile tile, it has given our community a real lift. Implementation was seamless and we're already reaping the benefits across the community." In 8 weeks we launched Pink Petro with community and UX expertise from Social Edge. Since March, were in 21 countries nearing 600 members and just past our 6 month mark. The community looks awesome and everything’s working well. Love the mobile view!! Varonis Connect's simple and elegant interface empowers users to take full advantage of the potential of the Varonis platform and our individual products, while they connect and share ideas with other Varonis and enterprise IT experts. From the beginning, our build posed unique challenges; multiple customer communities with competing needs, each requiring distinct branding and heavy customization. But our partnership with Social Edge helped guide us throughout the process to identify limitations and find creative solutions. The team from Social Edge was critical to ensuring the successful implementation of our Jive instance. Here at Pearson we felt it was time to shake things up in our Neo community. And the shake up came in the shape of this beautiful tile from the team at Social Edge Consulting. We're talking about the The Blog Tile and we implemented it into Neo just last week. Our community managers LOVE it! I love it and the rest of the Neo team LOVE it! Thank you so much to Social Edge for creating such a wonderful and versatile tile, it has given our community a real lift. Implementation was seamless and we're already reaping the benefits across the community.